Weighing in at 285g, the Simond Cliff 20 is an ultra-light, affordable and surprisingly robust pack designed as a no thrills rock and single day alpine climbing pack. The most striking thing about this pack is the price. At £12.99 it undercuts the competition from mainstream brands by a substantial margin (as much as £50). Skeptics will question what you give up for such a low price tag. After using the Cliff 20 for over 2 years for everything from single day alpine climbs to daily commuting, the answer is, not much. A unique drawcord closure system that can be operated with one hand. A low profile strap for attaching a rope or crampons to the top of the pack. Daisy chain style attachment points ending with a single axe loop. There is also a minimalist side zip pocket for storing essential items (e.g. mobile phone, snacks, etc. ), an internal clip for your keys, an internal hydration bladder sleeve and a low profile webbing waist belt and chest strap. So far so good but what about what we didn’t like? Firstly, all of the buckles are plastic and very small so don’t expect them to last a lifetime or operate as easily with gloves. There isn’t much in the way of back support, structure or padding, just a single thin foam sheet. 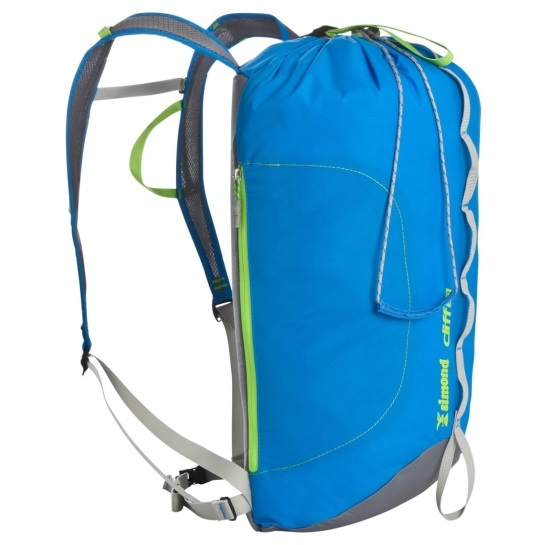 However, this pack isn’t designed to carry heavy loads (see the Deuter Guide 35+ - https://succinctgearreviews.blogspot.co.uk/2016/12/deuter-guide-35-bag.html). 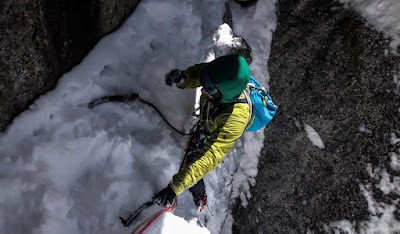 Finally, the single axe loop is more suited to more traditional straight-shafted axes than modern ice climbing tools. Things we like: Excellent value, practical, light. Things we don’t like: Flimsy buckles. Not much.